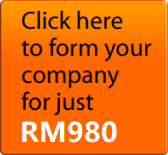 Register a company for ONLY RM1,460 !!! REIT may consider as good as EPF on its tax exemption status, as all the rental, interest and other investment income earned by REIT are exempted from tax, provided that the REIT distributes at least 90% of its total taxable income to its unitholders in a particular year (note that property revaluation gain is not considered as realised income even though it is reported in the income statement, thus it is not taxable and not distributable). The withholding tax will be withheld by REIT before paying out the dividends to unitholders. In other words, unitholders will be receiving dividends, net of withholding tax. The withholding tax is a final tax. Individuals and non-corporate investors are not required to declare REIT dividend income in their tax filing/returns. As such, you are not allowed to claim tax refund or tax offset in your tax returns, as opposed to other dividend income (provided you are receiving taxable dividend or non single tier dividend from your share investments). However, REIT dividends which attracts only 10% in the hand of unitholders, which is more tax beneficiary to those higher income earners whose tax brackets could be higher than 10%, up to a maximum of 27%. 3. No withholding tax – tax-resident company investors. REIT dividend will be taxed in their tax computation. General company tax of 25% is applicable. The reduced withholding tax of 10% on individual and non-corporate investors is only available up to 31 Dec 2011. REIT dividends received after 31 Dec 2011 will be taxed at original 20% for foreign institutional investors and 15% for non-corporate investors (including resident and non-resident inviduals). It is hope that the reduced withholding tax of 10% will be extended, if not further reduced (as in NIL withholding tax in Singapore) in coming Budget 2011. NBC Group offering cheapest ever price for company registration and formation services at only RM1,460 in Petaling Jaya, Malaysia. NBC Group has helped hundreds of our clients for the past 10 years to register a company in Malaysia at RM1,460 only, the lowest, cheapest and No.1 in Petaling Jaya, Malaysia. Sdn Bhd Company registration at RM1,460, the best price in Town and has never been so easy and cheaper. NBC Group’s services include company registration, company formation, company setup, company secretary, shelf company, setting up new company, company audit, income tax, accounting and book-keeping services.